The health of your family’s teeth and gums are important, which is why you encourage proper oral hygiene habits. You make sure that everyone brushes and flosses each day while also visiting their Lehigh Valley dentist twice a year. However, you could be overlooking a serious threat to their dental health. If your loved ones drink sodas, energy drinks, or juice, you are opening the door to tooth decay. 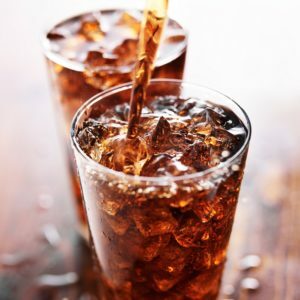 Although many people tend to believe that these drinks are only damaging when consumed frequently, even having one in moderation can still lead to tooth decay. To protect the health of your family’s smiles, it is best to avoid sodas and other sugary drinks altogether. Sodas and fruit juices contain large amounts of sugar, which is not good for your overall or oral health. When they are consumed regularly or even on occasion, they will have negative consequences on your teeth and gums. Our mouths naturally contain bacteria, which is why brushing and flossing are important. However, if you drink sodas and other sugary drinks, the sugar will cling to the teeth and mix with the bacteria. As it interacts with the sugar, it turns it to acid. As the acid sits on your teeth, it slowly begins to eat away at your enamel. Over time, your enamel will become thinner and weaker. Eventually, a hole will develop, causing a cavity to form. Although you cannot fully avoid sugar and you will likely give in to a carbonated drink from time to time, there are several ways you can protect your family’s teeth from damage. Whenever possible, it is best to drink water over all other beverage choices. However, if you need something sweet, choose juices that contain 10% or higher of natural fruit juice. Then, dilute the juice with water to help reduce the amount of sugar intake for your family. In addition to changing what your family drinks, it is important to maintain their dental hygiene. Use a fluoride toothpaste and soft-bristled toothbrushes for your family to clean their teeth. Ensure that everyone is brushing for at least two minutes twice a day. Before going to bed, everyone should floss their teeth to remove plaque, tartar, and bacteria that has been missed by the toothbrush. Maintain preventive dental appointments every 6 months for a cleaning and checkup. With regular care from the dentist, a balanced diet, and proper home oral hygiene habits, you will foster the health and development of your family’s teeth to ensure that they last for a lifetime. If your family has not had a preventive appointment in the last six months, schedule an appointment with their dentist today to protect their teeth and gums. Dr. S. John Salivonchik is a highly sought dentist who provides high-quality care to patients of all ages. He provides individualized treatment plans to promote the health of the teeth and gums. If you have questions about the effects of sugar on your teeth, contact our office to get the answers you need.